FastBet is a questionable name for an online casino site. In an online casino world that is increasingly trying to protect the vulnerable, the word fast seems vaguely irresponsible. At the same time, maybe that isn’t the case, maybe in an online world where everything moves at the fastest pace it ever has, FastBet is the perfect name for an online casino. FastBet was launched in 2016, and is operated by Bethard Group (another name that is perhaps a little out of touch with the tone of the iGaming world right now). 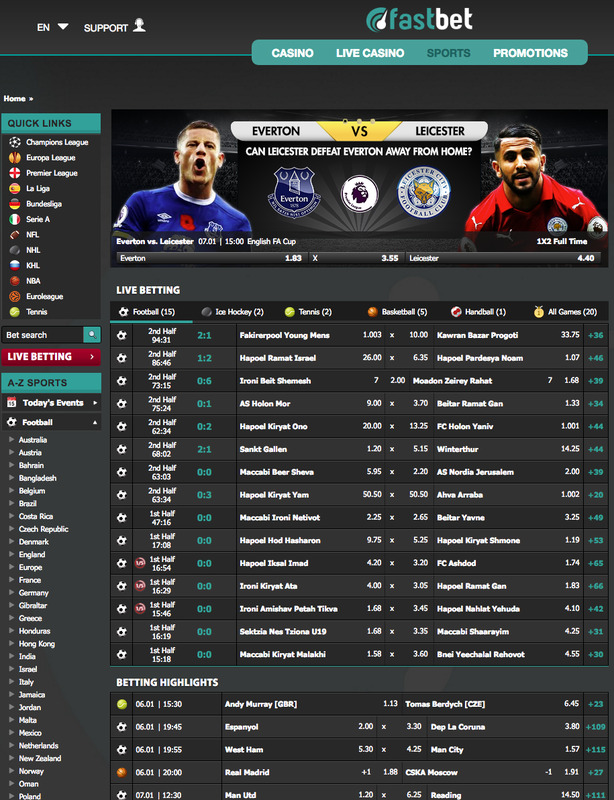 Predominantly aimed at players in the UK and Scandinavian countries, FastBet has developed a strong reputation for offering a comprehensive online gambling service, from casino games to sports betting and everything in between. It’s surprising that more online casinos don’t offer a wider range of services, but it’s great news for FastBet, who have carved out something close to a niche, or at least put themselves in a position to compete directly only with sites offering the same array of game categories, which makes the online casino market slightly less competitive for them than it is for most others. That isn’t to say that FastBet doesn’t still have competition to deal with, lots, in fact, a smaller percentage of the iGaming market still has a lot of names on it, and it’ll take much more than a good idea for FastBet to make an impact. FastBet is not an online casino that’s going to catch your eye immediately with a range of exciting colours and patterns. However, there is a sleek and professional look to this site that manages to provide a balance between the design players would expect from a casino, and that which would normally be found at a sports betting site. A pleasant blue and black colour scheme adds a gentle tone to the site as a while, and makes players comfortable on arrival. There’s arguably a little too much blank space going on here, and it would be nice if there was a bit more design at work, but it’s not a bad looking site by any means. Thumbnails in the centre of the homepage do a good job of adding some extra design touches, as well as allowing instant access to popular games, but it isn’t quite enough to create sufficient levels of excitement. A few more additions to the artwork here, and FastBet could be a great looking site. 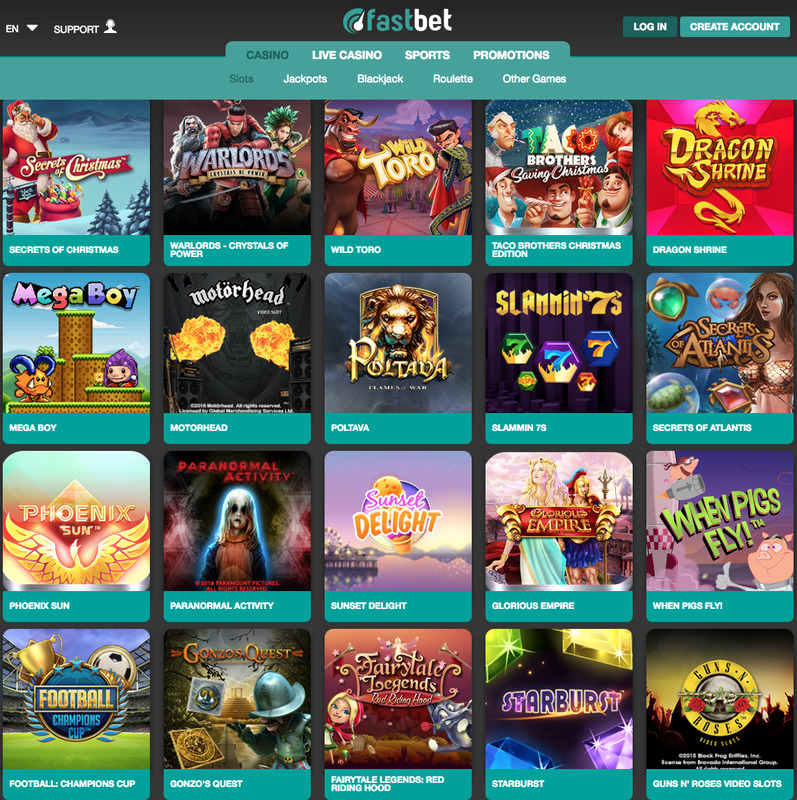 As mentioned, FastBet offers more services and game categories than most of its competitors, but that means nothing if the games on offer aren’t good enough. ELK Studios, Evolution, iSoftBet, Microgaming, NetEnt, NextGen Gaming, NYX Gaming, Quickspin, SBTech, and Thunderkick provide the titles here, which offers up a good selection of games of various types, but arguably not quite enough. It feels a little like FastBet has spread itself too thin by trying to offer as many different options as it can, and as a result, it’s casino offering does not stand up against sites that exclusively offer casino games, and its sports betting options cannot hold a candle to exclusively sports betting based sites. That isn’t to say there aren’t good games here, but with noticeable names such as IGT and Playtech missing from the list of software developers, many favourites are not here, and that will probably work against FastBet. FastBet is an online casino and sports betting site that had an excellent idea, but hasn’t quite executed it right. There’s time though, a few more software providers behind the games, a couple of tweaks to the design, and this site could be excellent.